September was packed with busyness for our family. We went on a vacation and took Emma to school. We got my parents off on a two week visit to California, and today we pick them up. 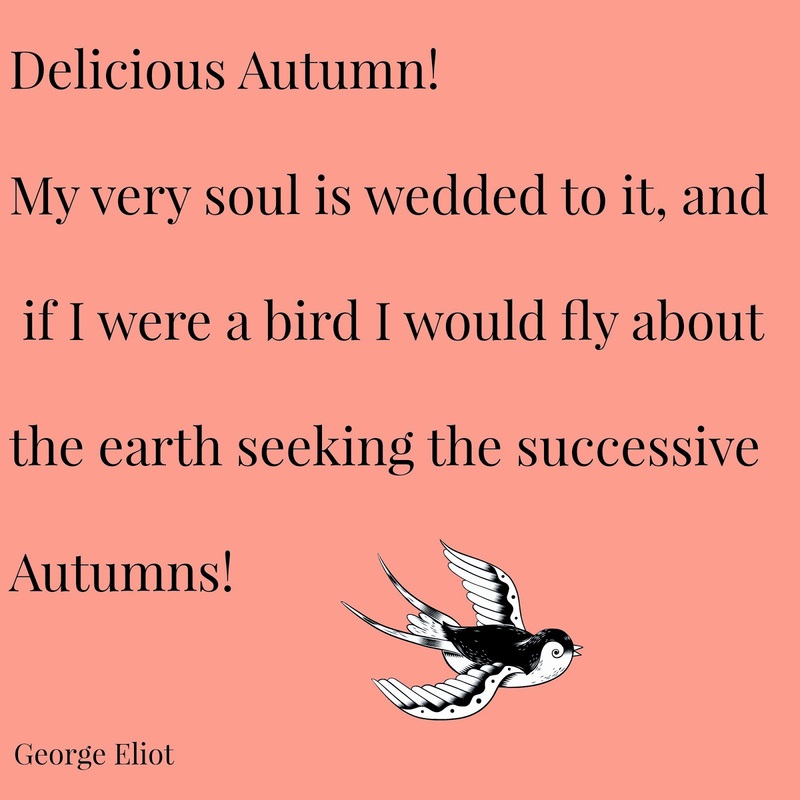 I love this quote from George Eliot! It is how I feel about the Autumn season. We have been busy here at the cottage with school, and with life. My friends' dad died suddenly last week, and they had to go out of state for the funeral. We have been going over to their house twice a day to feed their dog and give her some attention. She is such a good girl, she does not need to be kept in a crate. Tim also mowed their yard yesterday and we took care of some of the housekeeping things that were in progress when they got the call. I didn't want them to come home to any kind of work after such an emotionally draining week. We've had a normal routine here at home. School, meals, chores, frisbee, dishes, laundry. with this post - I've Always Thought You Were So Beautiful. I had many sweet comments that really encouraged me. God gets the glory for His work in my life. I also had so many who could relate to what I shared, and that made me sad. A casual friend sent me a private message. She mentioned how we as woman have bought into the culture - we all judge each other - whether we comment aloud or just give someone a makeover in our minds. It made me think how many times I have thought those kinds of things, too. Her wise words and shared understanding gave me a lot to think about. My post wasn't about sympathy, but I wrote it because I want to be able to be free. Free of judgement, free of expectations, free of _____ (fill in the blank.) I wanted to open dialogue. I don't want to compete with anyone. As you know I homeschool my youngest three kids (the other three are already graduated from our homeschool) and I am doing preschool with my granddaughter. Kamryn, age 4 and Sarah, age 12 really enjoy art, and Kyle does it because I ask him to, as he just said, "It's not my top subject. That would be math." A few weeks ago I had them paint using fall colors. I keep pads of watercolor paper (very inexpensive at craft stores) and watercolor packs and brushes in our art box, so this is easy to get started. I am all about easy. They did some great papers, Sarah even added texture using bubble wrap. You can see it on this last painting. The next day I had them paint the backside of the paper too, because I had a project for fall decor in mind. This past week I traced an oak leaf cookie cutter on the pages and then we cut them out. Kyle took a hole punch and we strung it on twine, and hung it in the front window. "I always thought that if you lost weight, you'd be really beautiful." Said by an acquaintance, to me, on Sunday. I was kind of amazed and said, "Thank you." Why did I thank her for making me feel as if it was a compliment? I think she was meaning for it to be. After all I had been talking with the ladies about Trim Healthy Mama, and how I was finding it doable. I guess maybe that, "opened the door" that made her feel she could say something? Like I don't know that I have been carrying the weight that would equal a small person around with me for 25 years, and if I could just lose it, then…. Then what? Would I be more loved? More accepted? More culturally accepted? More beautiful. I love silver. I collect silver and silver plate as I am able, creating my own heirlooms for my family. I had a tray that was silver in color, likely stainless, but I did use it. Over the years it had discolored in spots (like tiny rust spots) and it was taking up space in my storage. So I decided to try to make a project based on something I saw in a store. Behold the Chalkboard Silver Tray. I started by using Frog Tape to tape off the sections I didn't want to get paint on. I pulled out a can of chalkboard paint that I have had for a couple of years! Shook it really, really well, then in my usual fashion, I just started spraying! I put three coats on it over a few days, and let it sit for one more day. Yesterday, I added the message in chalk. It's not perfect, it's hard to tape off those scalloped edges, but I don't even care! I may try to tidy the edge but I probably won't. I'm so excited for my favorite Season! Here is my list of things I LOVE about Autumn. Now it's your turn to share! 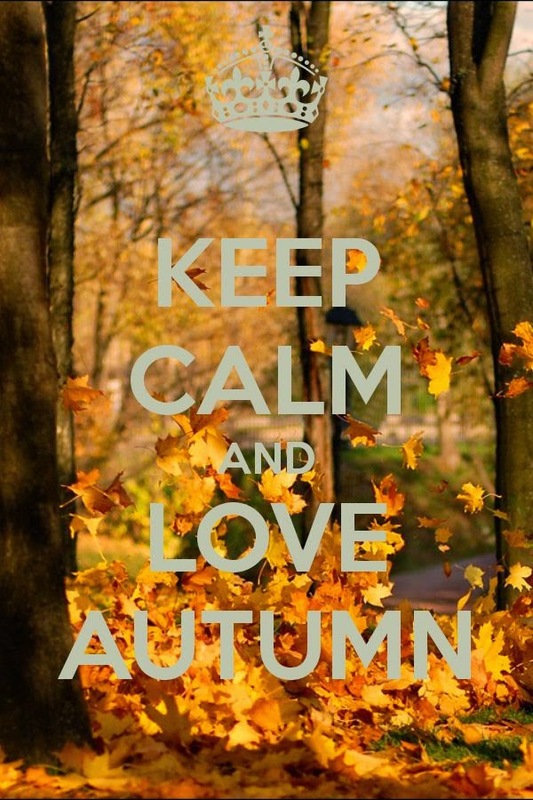 What are some of your favorite things about Autumn? The Echinacea (purple coneflower) and the Black Eyed Susan's are finished for the year. My front garden is looking like Morticia Adam's garden. It's time to cut it back for the year. I like all the seasons of the garden, from all the freshly blooming plants in the Spring to the dormant garden of the winter. The only reason I keep these flowers around as long as I do after they have gone to seed, is that the finches like to visit the coneflowers and eat at the seed heads. Can you see the little visitor we had the other day? She wasn't as bright yellow as most, in fact she seemed a bit greenish, but she was sweet. I may need to get the bird feeder out soon, because this garden is going to sleep tomorrow. Thank you all for your concern for Lindsay and for praying for her. It's been a frustrating three weeks, but this week she finally got a diagnosis. After the nurse called with the lab results, she looked up the symptoms of Mono and texted me. "I have every one of the symptoms." They have put her on Prednisone. She is beginning to feel better, thankfully. Brewing Irish Breakfast tea. We drink it hot and cold all day long! We arrived home Sunday evening one person less than we started out with. Emma has started her two year program of Bible Study at a small school in South Carolina. She's doing well. Monday, we took the day to unpack and to get the Autumn decor out of storage. Every year I change up what I do and where I use things. I am not a scarecrow kind of gal, I tend to do natural things, flowers, leaves, berries - that kind of thing. I have been following a nice fall home tours in blogland hosted by Laura @ Finding Home. I'm enjoying it, and I haven't looked at it yet today, but I am finding that every 'big' home blogger is doing neutrals. I just couldn't live with that! I need color! The reason I love the Autumn is the amazing colors of the leaves changing! On my desk, it makes me happy. I love the details of a person's life - how they lived, what they wore, how did they cook, what did they cook. I should have been an anthropologist. I guess I'm an amateur one! Jamestown is early 1600's. Williamsburg and Yorktown are 1770's.